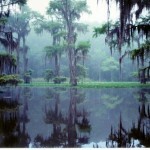 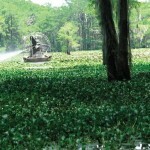 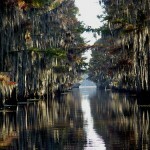 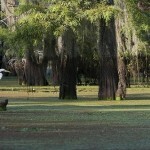 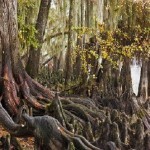 Situated half in Louisiana and half in Texas, near Marshal, Caddo Lake is a 26,000 acre. 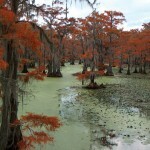 It is the only naturally formed lake in Texas. 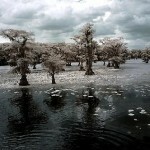 It is also an internationally recognized Ramsar “Wetland of International Importance”. 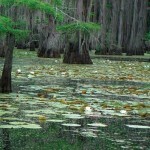 The eastern half in Louisiana is more of a normal open lake, but the Texas side is a vast cypress swamp of bayous and lily pad covered ponds. 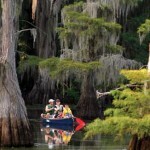 The only way to navigate the western Texas side is by using marked and cleared “boat roads” through the maze of cypress trees. 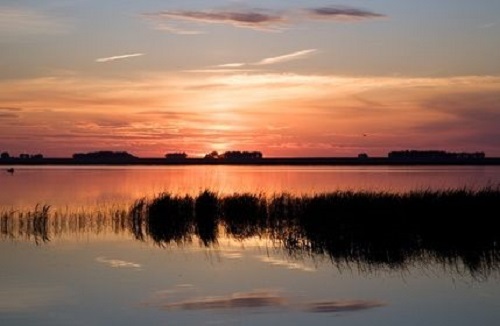 It is this western side of the lake that is truly a beautiful place. 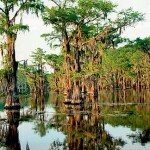 You will find it being described as being a “mysterious and intriguing Texas treasure” or “one of the best kept secrets of Texas”. 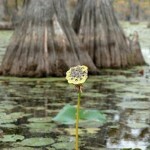 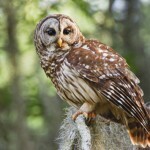 This is especially true in the spring when everything is a vibrant green, and wildlife abounds. 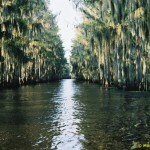 In the 1800’s Caddo Lake was a major depot and shipping port for the steamboat traffic running up to the northern most port at Jefferson, Texas. 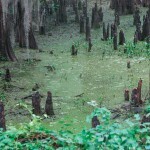 Then in the early 1900’s oil was discovered under the lake. 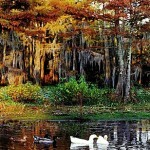 In 1911 the lake became the site of the first ever underwater oil drilling operation, conducted by Howard Hughes Sr. 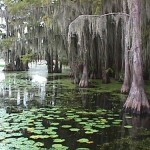 It was on this lake that he perfected many of the practices that later made him successful and very rich. 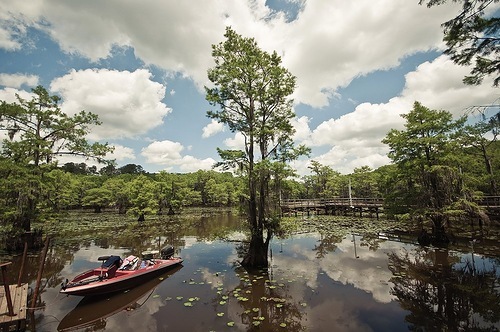 A couple of decades later Caddo became the site of a vast freshwater pearl harvesting company. 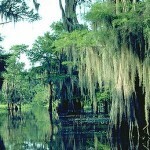 In the time since then Caddo has become a popular site for the filming of movies and TV show (just watch the Burt Reynolds’ movie Gator). 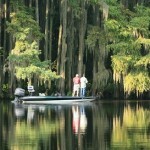 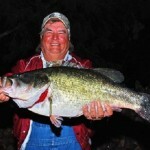 And it has always continued to be a retreat and paradise for fisherman and nature lovers.